Home / Opinion / Netizen says Duterte criticized gov’t in 2014: "We talk too much, act too slow, and do too little..."
Netizen says Duterte criticized gov’t in 2014: "We talk too much, act too slow, and do too little..."
Never one to mince his words, President Rodrigo Duterte openly criticized the Philippine government during a Senate investigation back when he was still a local official in 2014. 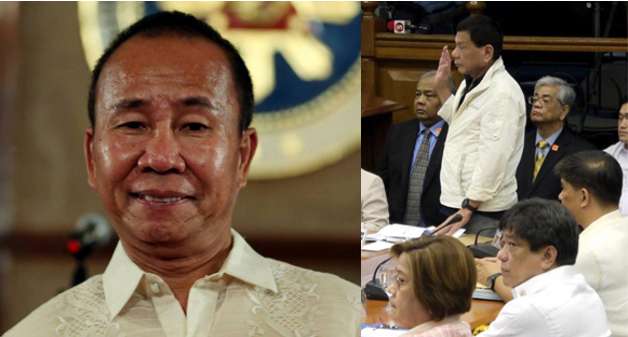 "The trouble with us in government is that we talk too much, act too slow, and do too little,” he said during the hearing on the rice smuggling cases that the Bureau of Internal Revenue (BIR) and Bureau of Customs (BOC) conducted that time. At that time, the Department of Justice (DOJ) Secretary was Leila de Lima and it has been noted how Duterte and De Lima had already been in tense bouts even back then. Duterte had criticized De Lima back then for not acting on the rice smuggling case which prompted the former Davao City Mayor to threaten to kill the rice smuggler David Tan if he steps foot on Davao City. 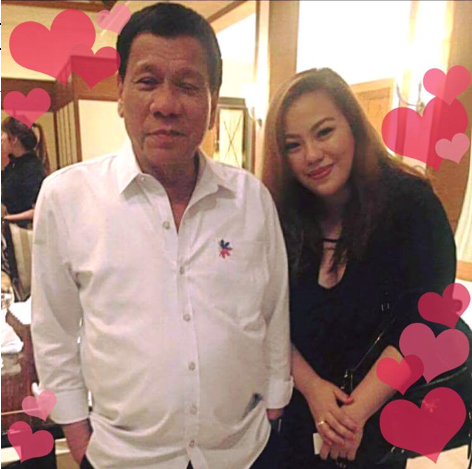 In a Facebook post by Krizette Chu, she pointed out how Duterte has drastically transformed the Philippines. “Four years after, Duterte has revolutionized the country, and has ripped apart the status quo from the very inside. He also acts fast, does a lot, and still talks too much,” Chu wrote. 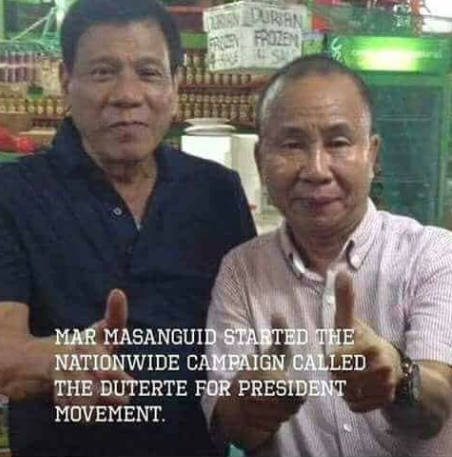 The social media personality disclosed that Duterte’s bid for presidency last 2016 National Elections was all because of Davao City Barangay Captain Mar Masanguid who pleaded to Duterte to run for President. In 2014, Duterte appeared in a Senate investigation for rice smuggling cases that the BIR and BOC were conducting. Four years after, Duterte has revolutionized the country, and has ripped apart the status quo from the very inside. He also acts fast, does a lot, and still talks too much. Lol. PS: An award of "Advance mag isip" must be given to a still nationally unknown Davao City barangay captain named Mar Masanguid who fell on his knees and begged Duterte to run for the presidency. His words became the rolling stone that pushed Rodrigo Duterte, an outsider from the south, towards the highest position in the land. PPS: Wherever you are, Mar, (Good Mar, because we have a bad Mar), salamat! Thank you for changing our lives, and the course of PH history! PPS: In the picture is Duterte with De Lima. The issue of the rice smuggling is that Duterte was sure that David Bangayan, aka David Tan, was smuggling rice in Davao, which is a major port. Duterte openly castigated the DOJ SECRETARY, De Lima, for not acting on the case. Duterte said, "If he comes to Davao, I will gladly kill him." Even in 2014, things were tense between Duterte and De Lima because De Lima wouldn't do her job. And that is today's gospel of Duterte.